The experiences we have as children profoundly influence the course of our lives. NCI’s Environmental Education Coordinator, Galo Carrillo, spent his childhood roaming the meadows, streams and mountains surrounding Quito, the capital city of Ecuador. They inspired his lifelong love for nature and his passion for protecting it. He has spent the rest of his life inspiring others, nurturing their curiosity and making sure that nature plays a part in their lives, as it has played such a key part in his. Galo went on to become a science teacher. In his 32 years at Bernardo Valdivieso High School in Loja, he inspired countless students, among them several members of NCI’s staff. “During my life as a teacher, I was in charge of the Science Club, and I coordinated students’ science and technology projects. We won three national science and technology fairs. In 1992, we represented Ecuador in the Ninth Environmental Youth Congress in Chile. I traveled there with Felipe Sanchez (now a mapping technician in NCI’s Loja office) who was a student at Bernardo Valdivieso. We presented a project related to flower preservation that had won at the national level in Ecuador. I remember Renzo, who is now NCI’s Vice President, did a research project on orchids. In Renzo’s case, he was always very close to nature. His grandfather, his family’s land in Vilcabamba – I think these created a connection to nature in his core, in his heart and mind, so that conservation took root in him permanently. 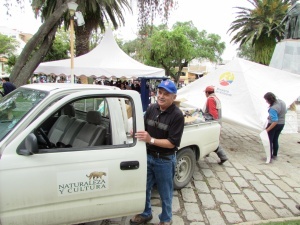 After retiring as a science teacher, Galo began his second career at Natural and Culture International. 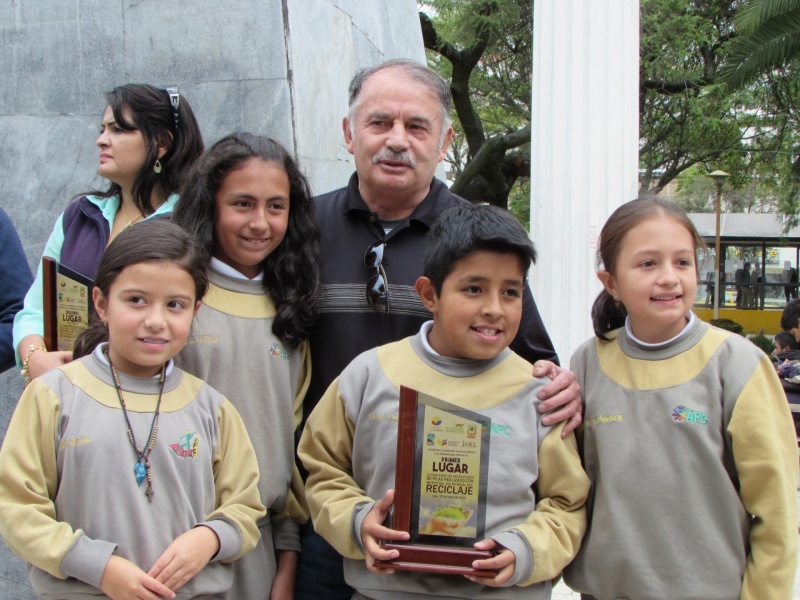 In his 16 years with NCI to date, he’s created a framework for environmental education that is used throughout the province of Loja and beyond. Galo was also the driving force in forming EcoClubs in Loja, which are the primary platforms for students to engage in environmental activities. “In the ‘90s, I had become interested in the idea of forming an EcoClub because as a high school teacher, I had run the Science Club. I knew about a foundation for EcoClubs in Guayaquil, so I met with the president and asked him how many EcoClubs existed. At that time, there were only two in all of Ecuador. I said, “I’ll tell you what. Within six months, I’ll have ten more in Loja province. Galo’s lasting legacy may be the framework he envisioned and helped create for delivering a comprehensive environmental education program at a large-scale. But his joy clearly comes from the time he spends with students. He has the energy of someone half his age, which he spends on a dizzying array of activities with EcoClubs and schools: ecological fashion shows, battery recycling campaigns, field-trips to the nearby Podocarpus National Park, kite-flying (to name just a few). And he clearly worries that in our increasingly distracted and connected-yet-disconnected world, kids are losing touch with nature and the freedom and desire to explore that defined his own childhood. You get the sense that this is part of what drives him to get kids outside and experience their environment firsthand. In spite of all he’s already accomplished, Galo is not one to rest on his laurels. There’s too much left to be done to stop now.